Just a few simple supplies come together to make an edible take on a classic game. 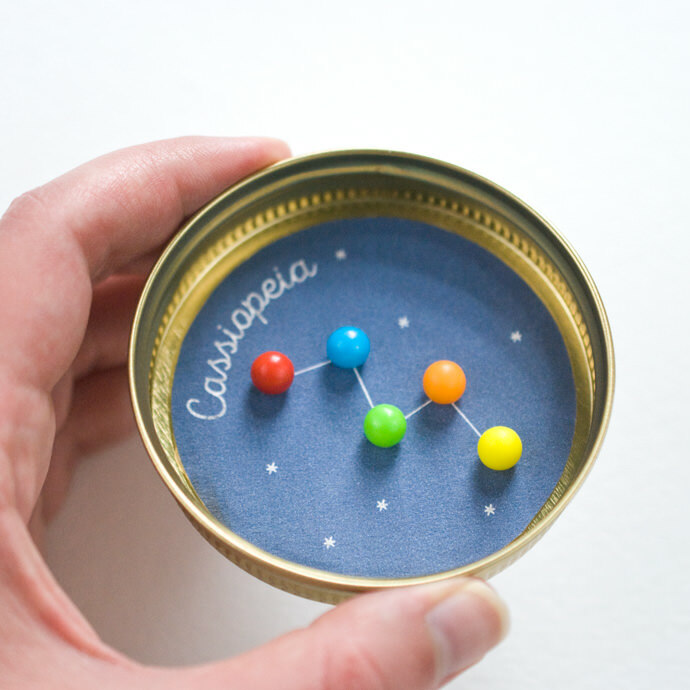 Roll tiny jaw-breaker type candies around on a star scape until they find their way onto a constellation. The idea is easy enough, but getting all the little balls in place can be tricky. That, however, is the fun of the challenge! The game itself is best suited for older children and they can assemble it by themselves. All you have to do is make sure they don’t eat too many of the game pieces! 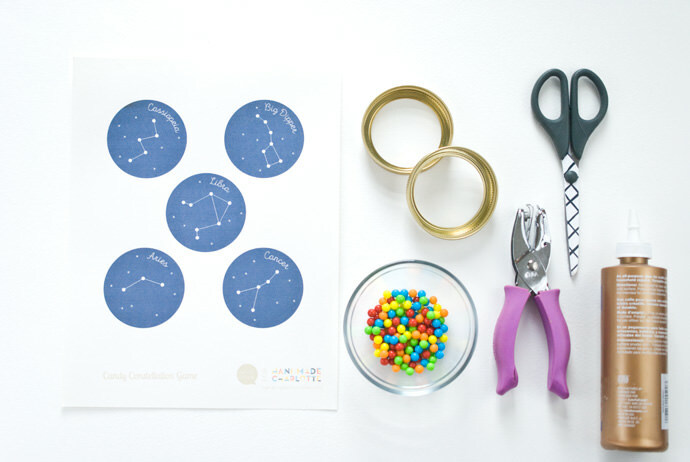 Print the constellation circles on heavy card stock and then cut out the circles. 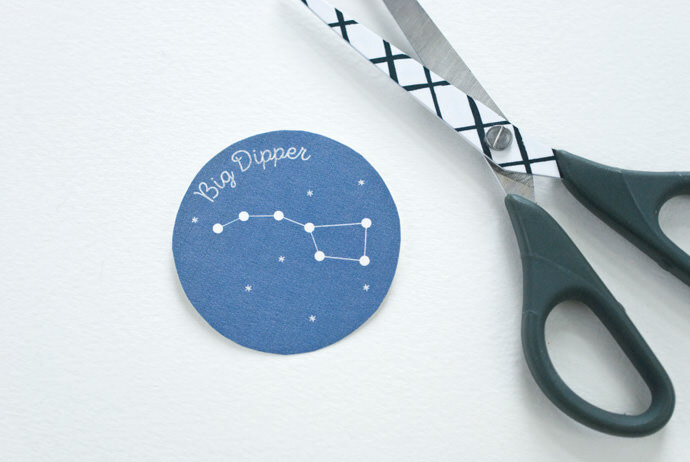 Punch out each star in the constellation. 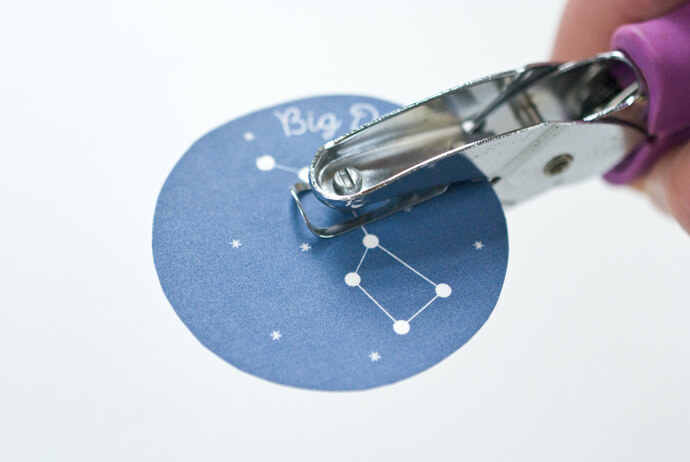 These are marked with circles and are different than the tiny stars around the background. Though you could punch extra stars too! The 1/8in punch I’m using is good for candies that are about 1/4in. You should test the candies you have and see if they will roll and settle into the holes. If the holes seem too small, enlarge them a bit with the punch. 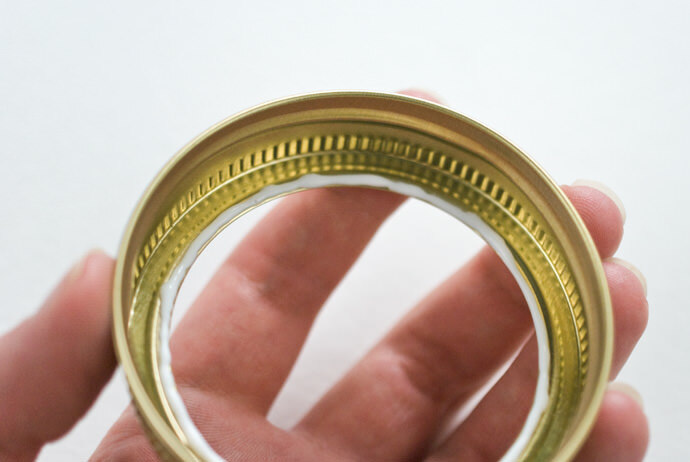 With the jar ring upside down, run a bead of glue around the inside of what would be the top of the opening. 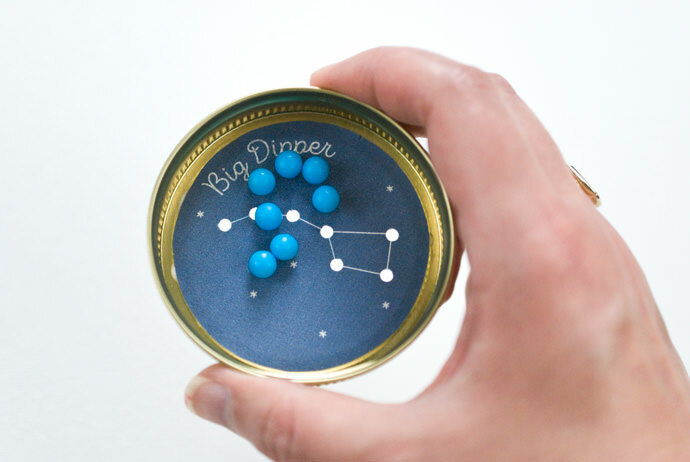 Press the constellation circle onto the glue and let it dry. 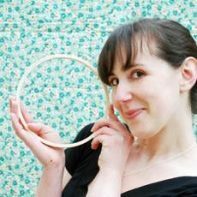 A bit of glue may squeeze out around the circle or underneath in the ring opening. 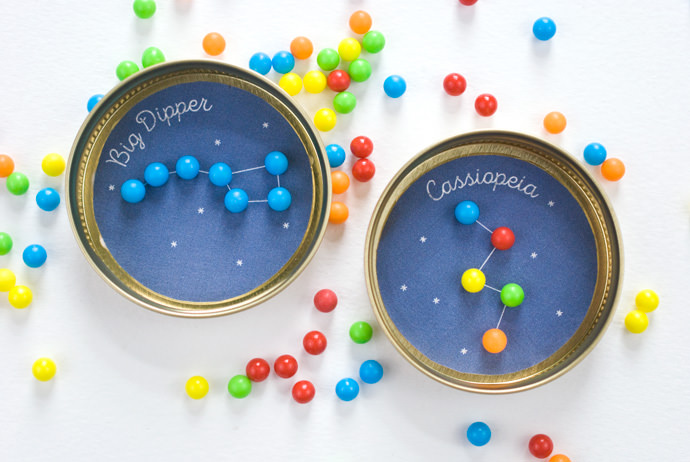 Make sure the glue is completely dry before you start playing the game..
Place as many candies in the game ring as there are stars in the constellation. Tilt and move the game around until you get each candy settled on a star. This can be tricky, but you can do it! It just requires a little patience and a steady hand. Each constellation is its own unique challenge. When there are fewer candies to roll into place, it’s a little easier, but it still takes time. I’m quite proud to say that I really did get all these in place by playing the game. No photo cheats here! And as a reward, you can eat the candies! 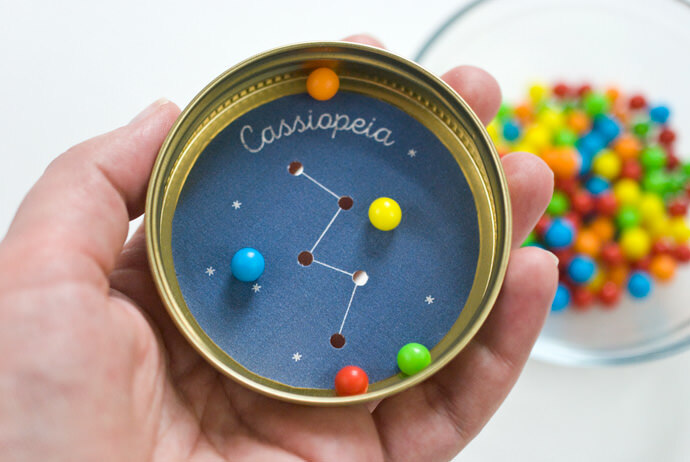 If you’d rather not have this game be edible, swap out the candies for small ball bearings. You should be able to find them at your local hardware store. Make just one or craft the whole set. 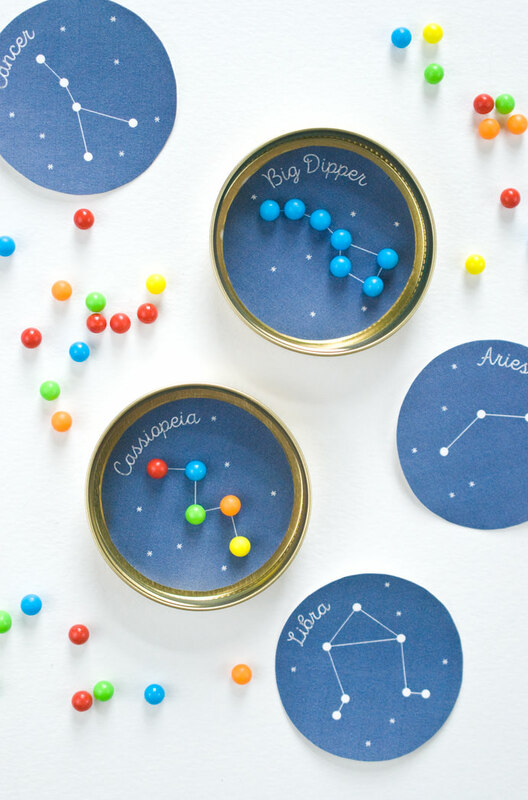 They’re great for taking a few minutes to focus, and they’d also make good party favors! 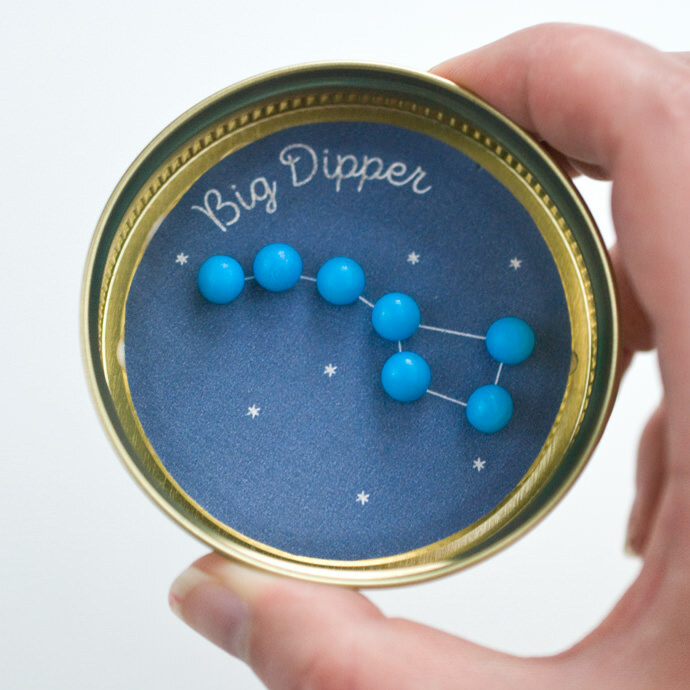 Just package up one of the constellations with a little bag of treats. This is brilliant! 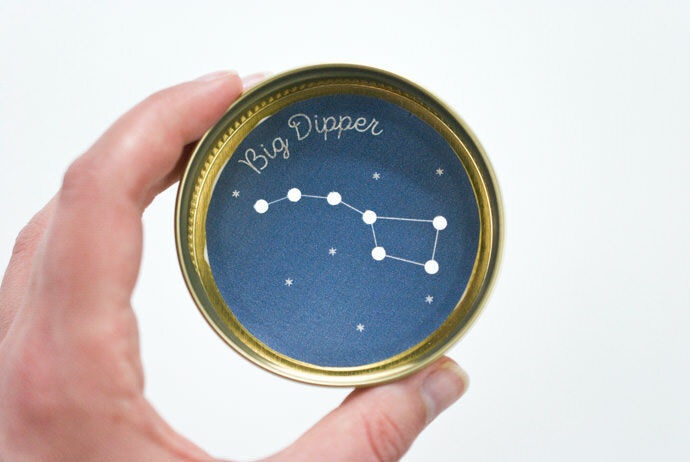 We have been studying the stars this summer – my girls will love it!